NAID and PRISM International are proud to present the 2019 Conference & Exposition. The event is not to be missed, offering 25 hours of industry education, networking with nearly 1,000 professionals, and an exhibit hall boasting the newest technology and the only truck expo! 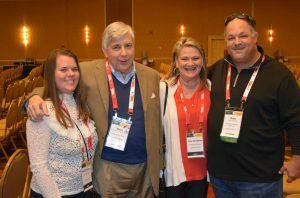 If you are the only individual attending from your i-SIGMA Member Company (NAID and/or PRISM International): This registration includes conference sessions and materials, an exhibit hall pass, refreshment breaks, the Thursday reception and truck party, the Friday awards lunch, and the Friday reception. 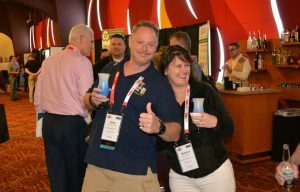 If there are two or more people attending from your i-SIGMA Member Company (NAID and/or PRISM International): This registration includes conference sessions and materials, an exhibit hall pass, refreshment breaks, the Thursday reception and truck party, the Friday awards lunch, and the Friday reception. 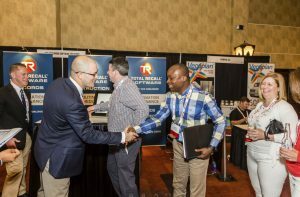 This registration includes conference sessions and materials, an exhibit hall pass, refreshment breaks, the Thursday reception and truck party, the Friday awards lunch, and the Friday reception. If there are two or more people attending from your company: This registration includes conference sessions and materials, an exhibit hall pass, refreshment breaks, the Thursday reception and truck party, the Friday awards lunch, and the Friday reception. Guest registration is for a personal guest and cannot be used for individuals who are within the industry. All guest registrations will be reviewed by i-SIGMA staff members. Badges are required for entrance to these activities. Please note, guest registration exclusively provides access to one or both receptions and the keynote speaker. It does not include access to any other conference features, such as the expo floor during non-reception hours, educational sessions, or lunch. One Reception & Keynote Speech: $65 per person. Includes admittance to Keynote speech and one reception: Thursday Truck Party or Friday Reception. Two Receptions & Keynote Speech: $120 per person. Includes admittance to Keynote speech and both receptions: Thursday Truck Party and Friday Reception. NOTE: Conference registration does not include lodging. i-SIGMA does not provide a one-day pass-, tradeshow- or exhibit-only registrations. In the event of this Event being canceled, i-SIGMA shall not be held accountable for any outside fees associated with this cancellation. As a condition of the attendee’s participation in this event, the attendee hereby waives any claim he/she may have against the International Secure Information Governance & Management Association (i-SIGMA) and its officers, directors, employees, or agents, or against the presenters or speakers, for reliance on any information presented and release i-SIGMA from and against any and all liability for damage or injury that may arise from the attendee’s participation or attendance at the program. 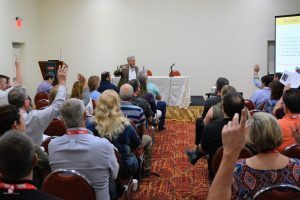 The attendee further understands and agrees that all property rights in the material presented, including common law copyright, are expressly reserved to the presenter or speaker or to i-SIGMA. The attendee acknowledges that participation in i-SIGMA events and activities may bring some risk and do hereby assume responsibility for their own well-being. If another individual participates in the attendee’s place per i-SIGMA transfer policy, the new registrant agrees to this disclaimer and waiver and conditions by default of transfer. If another individual is registering the attendee for this event, they are agreeing to these conditions on their behalf as the attendee’s proxy. I-SIGMA, Exhibitors and Sponsors of the event intend to take photographs and video of this event for use in promotional materials in print, electronic and other media, including websites and social media. By participating in this event, the attendee grants i-SIGMA, Exhibitors and Sponsors of the event the right to use any image, photograph, voice or likeness, without limitation, in its promotional materials and publicity efforts without compensation. Any image, photograph, voice or likeness taken by i-SIGMA becomes the property of i-SIGMA. Media may be displayed, distributed or used by i-SIGMA for any purpose. In the event this Event is cancelled for any reason, i-SIGMA will issue a refund for the cost of the registration; i-SIGMA shall not be held accountable for any outside fees associated with this cancellation. i-SIGMA reserves the right to refuse or cancel all ineligible registrations at any time and shall not be held accountable for any outside fees associated with this cancellation. The information used for this event will be drawn from the individual profile in our database for the attendee. This individual profile is accessible by the attendee for updating and deletion of their information. The information in the profile will be used for event badge information (name, company name, city, state/province and country). The information in the individual profile is also used to identify the individual as a representative of a company, thus, in the event of membership with i-SIGMA, allowing them membership benefits. Other requested information during the registration process (i.e., dietary restrictions, disabilities) will only be used for the purpose of this meeting. In addition, e-mail addresses will be used in order to communicate registration and event details with attendees. Attendee information (name, company, and e-mail address) may be used to promote this and future events; attendees may update their subscription preferences at any time to opt out of marketing communications. Attendee information (name, company, mailing address and e-mail address) will be provided to exhibitors and sponsors of the event (visit http://isigmaonline.org/Event-Conference/exhibitors-sponsors/ for the current list of exhibitors and sponsors); this list may be updated until the date of the event. Their information will be used for pre-marketing of the event as well as a potential contact regarding sales of their product; Exhibitors and Sponsors are obligated to offer an opt-out option should the attendee wish to not receive any further communications from them. i-SIGMA will not share any information regarding EU citizens in attendance at its events unless the individual specifically ask us to do so in writing. To update the attendee’s contact information with the association, please contact i-SIGMA: The home of NAID® and PRISM International® at 3030 N. 3rd Street, Ste. 940, Phoenix, AZ 85012, USA or +1 602-788-6243.